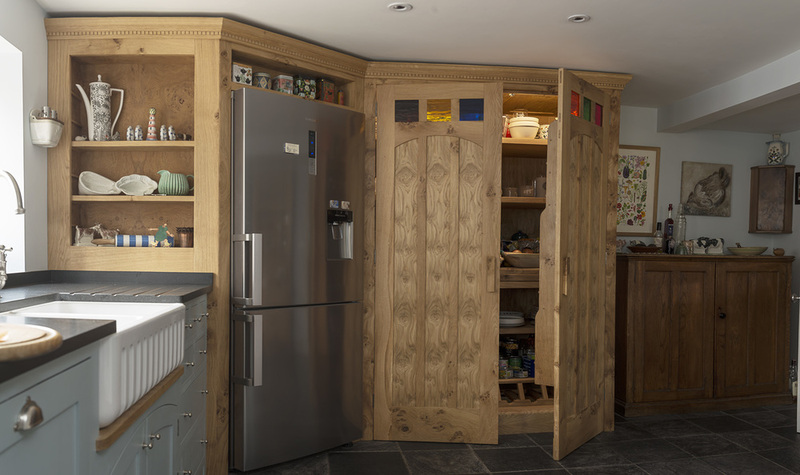 Having used Auspicious Furniture to design and build their previous kitchen in Nailsworth, these clients called upon our creativity and craftsmanship once more. 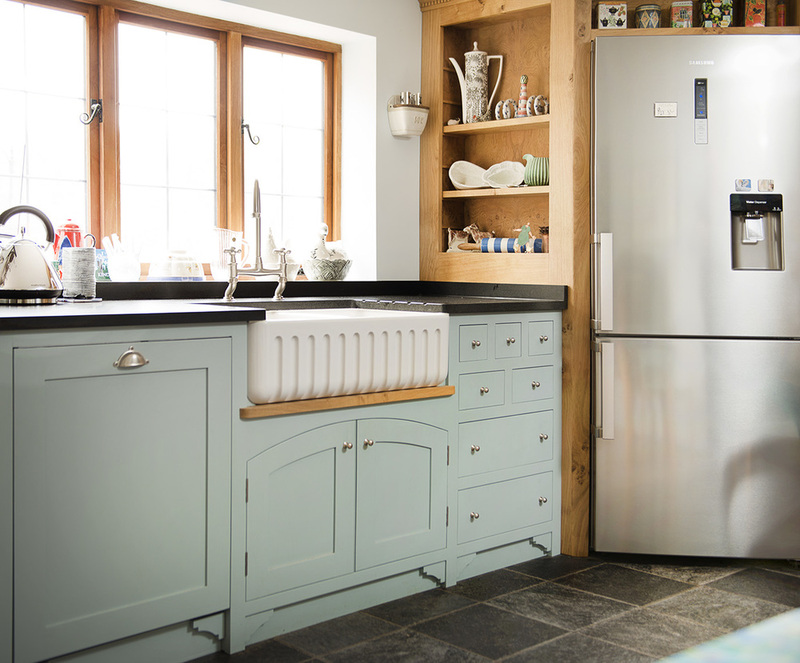 The brief was to create an eclectic, quirky kitchen in their home in Ludlow, working around the original AGA which came with the house. The Ribchester sink, with its stylish, fluted front, sits comfortably on a painted (Parma Gray by Farrow & Ball) unit. 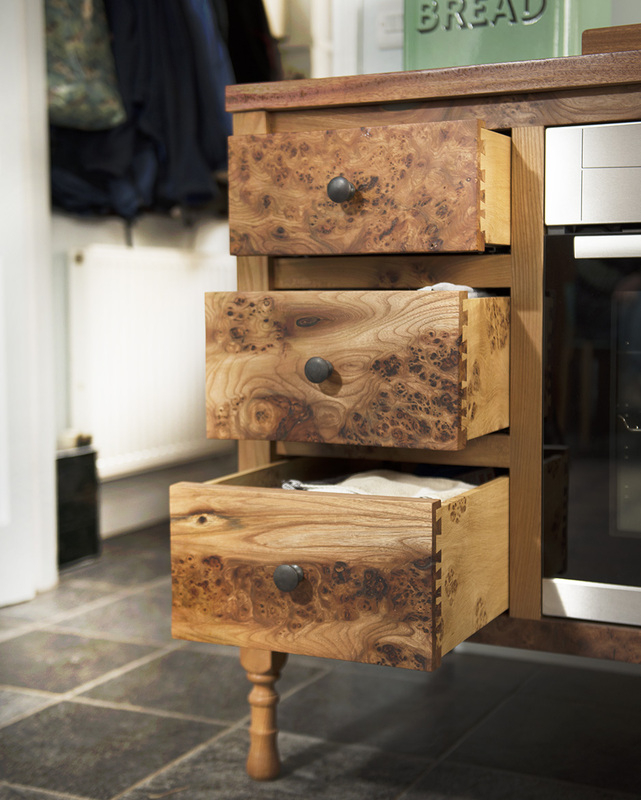 A handmade oven cabinet features smooth, turned legs and dovetailed drawers fronted with heavily-burred Scottish elm. If guests look closely they might notice the glint of shrapnel buried deep within the elm itself; remnants of shot from a forest hunt which add an enviable mark of provenance. 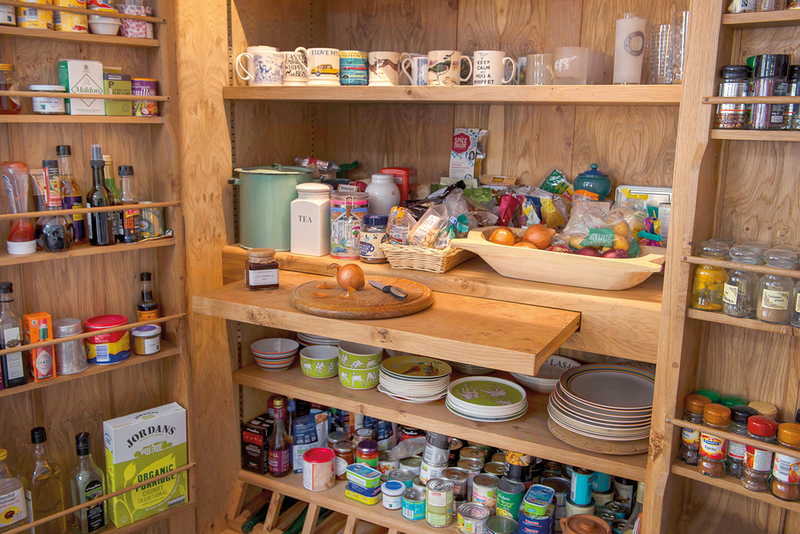 The oak larder opens to reveal a wealth of storage. Concealed at waist level is an ingenious push-to-open counter top which provides a space to prepare breakfast. 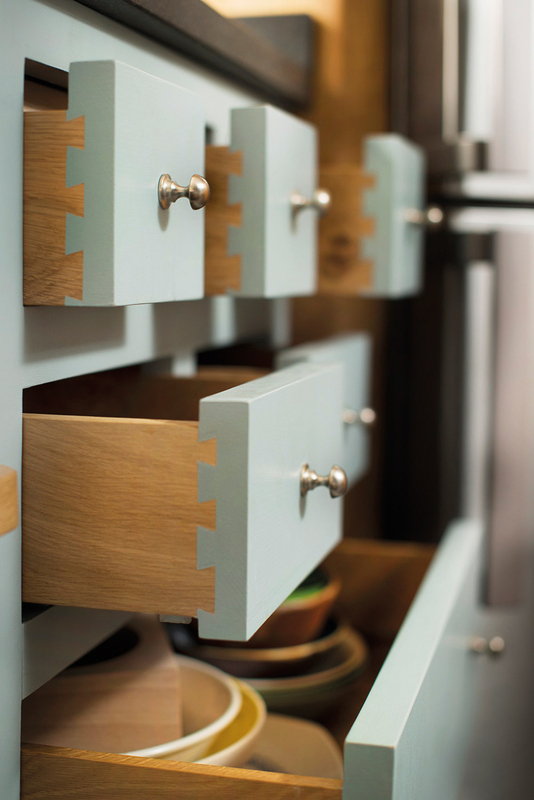 The larder doors were made using hand-picked elm, and topped with a vibrant row of coloured glass windows from local artisan Goldy Manzi-fe.